Screw the Chicken Tax, we want the Brat back! Usually, when we talk about an old Japanese car that's no longer built, it's typically a car that was never sold in the US because of crash standards or emissions. The Subaru Brat is actually an oddball, and not just because the truck itself is very strange. The Brat was actually never sold in Japan, making it a popular grey market import there. Take that Japan! One of your companies gave the US something cool that you didn't get. If you live outside of the US, you may know the Brat as the 284, Brumby, Shifter, MV, Targa, or MPV. Although it went by many names in different markets, the Brat will always be remembered for how weird it was. Subaru produced the Brat from 1978 to 1994, so you may be too young to remember it. Basically, it was a bit like a Chevrolet El Camino or Ford Ranchero, a small, car-based pickup truck. 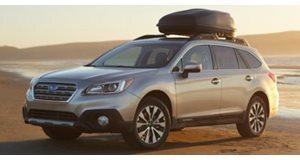 Unlike the Chevy or the Ford however, the Subaru had 4WD and was built to do some serious off-road work, not just drag race between traffic lights. The Brat originally came about because the President of Subaru of America wanted to meet the demand for small trucks in the USA. Mazda, Toyota, and Nissan were all selling trucks there, and Subaru wanted in on the market. Unlike the other Japanese trucks, all Brats came with 4WD. Based on the Subaru Leone station wagon, which had optional 4WD, Subaru even gave the Brat nice features like an optional T-top roof, spring-loaded side step for the bed, and a spare tire under the hood. It wasn't difficult to fit a spare tire here as the biggest engine Subaru ever put in the Bratwas the 1.8-liter EA-81 engine. Even the the turbocharged engine only produced 94 horsepower. The most interesting part of the Brat was that US models came with rear-facing jump seats in the bed. This was in order to bypass a stupid US law known as the "Chicken Tax." Basically, the Chicken Tax is a tariff on light duty trucks that are not manufactured in the US. This law from 1963 is the main reason why the US doesn't receive cool trucks like the new Ford Ranger, Volkswagen Amarok, or the Holden Maloo. 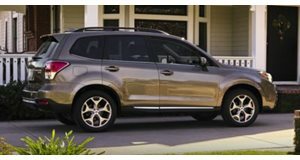 Subaru was able to avoid this 25 percent tariff by putting two rear-facing seats in the bed and calling the Brat a passenger car. Of course, this loophole wouldn't work today and putting something that dangerous in a car would never be allowed now. Still, there are ways that Subaru could still build the Brat today without incurring an insane tariff. Trucks that are built in the US are exempt, which is why Toyota and Honda build the Tacoma, Tundra and Ridgeline in the US. Subaru currently builds the BRZ, XV Crosstrek, Impreza, WRX, STi, and Forester models in Japan. However, the company does produce the Legacy and Outback in its factory in Lafayette, Indiana. Subaru has also said that it will move production of the Impreza to its US plant in 2016. That means that there are US-built Subaru models that could be used to underpin a new Brat We would love to see an Impreza-based Brat with a sporty WRX or STI variant. 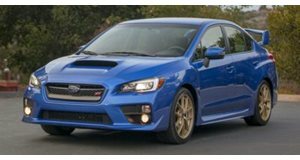 Just imagine a sporty little pickup truck with a 2.0-liter 268 hp turbocharged boxer engine from the WRX. The Outback, Forester, or XV Crosstreck would probably make more sense as pickup trucks, but the Brat was never about sense. The Brat represents everything that US automakers hated about imported trucks. Japanese trucks were lighter, more efficient, and built better than anything US companies were making back in the 1970s. The Chicken Tax has given US companies decades of an advantage in the truck segment, and we think it's time for that dominance to be challenged. Toyota has already proved that Japanese trucks can sell well in the US, but we want a true disruptor in the pickup truck space. A new Brat could be more efficient and cheaper than a lot of American trucks, and a WRX model could be the perfect option for enthusiasts. The Chicken Tax may never be repealed, but we will always long for another Subaru Brat.